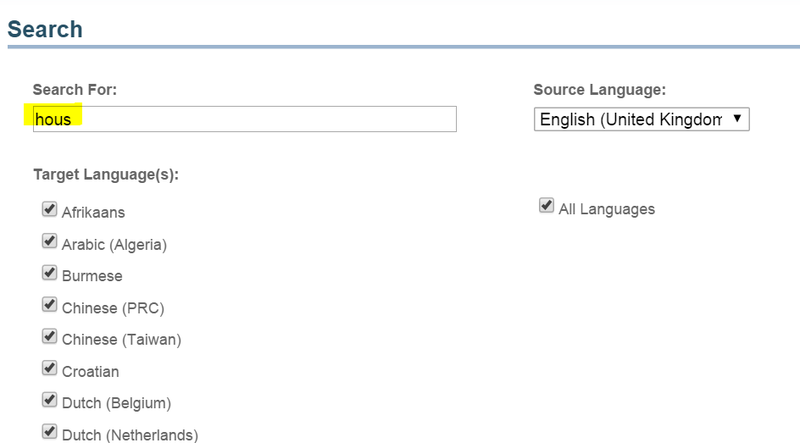 One can search for fuzzy terminology entries from the Web-Based Look Up interface. Enter a word in the “Search For” field of the Web-Based Look Up. Specify the source and target languages and apply any necessary filter. The result are displayed as follows. 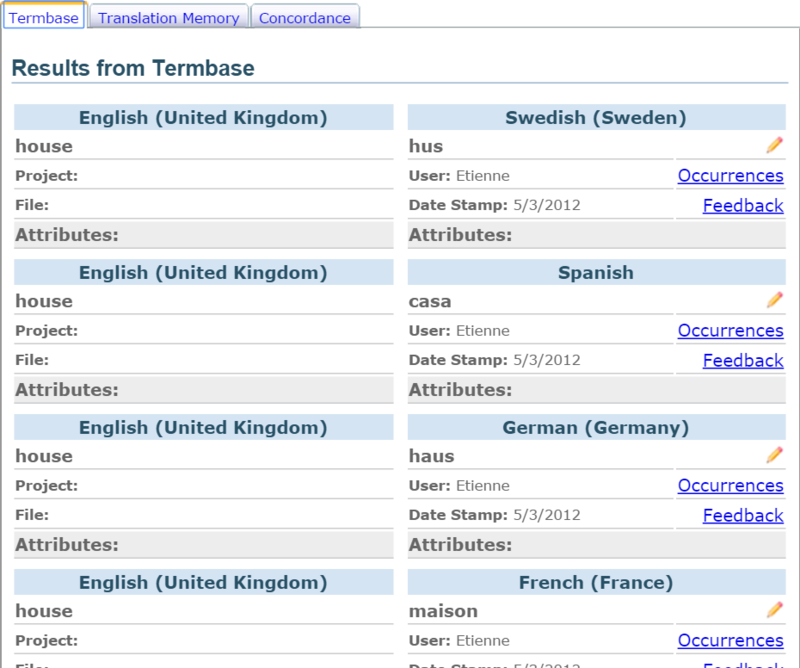 Note that the displayed Termbase entry is a fuzzy result. Clicking on Context will display the surrounding segments of the selected match. Clicking on Feedback allows any entitled users to leave feedback for the selected match. Clicking on the Edit/Pen symbol will allow any user with a sufficient permission level to perform changes on the selected match. Enter a sentence in the “Search For” field of the Web-Based Look Up. Specify the source and target languages and apply any necessary filter. Naturally, no termbase results are available for such a search. 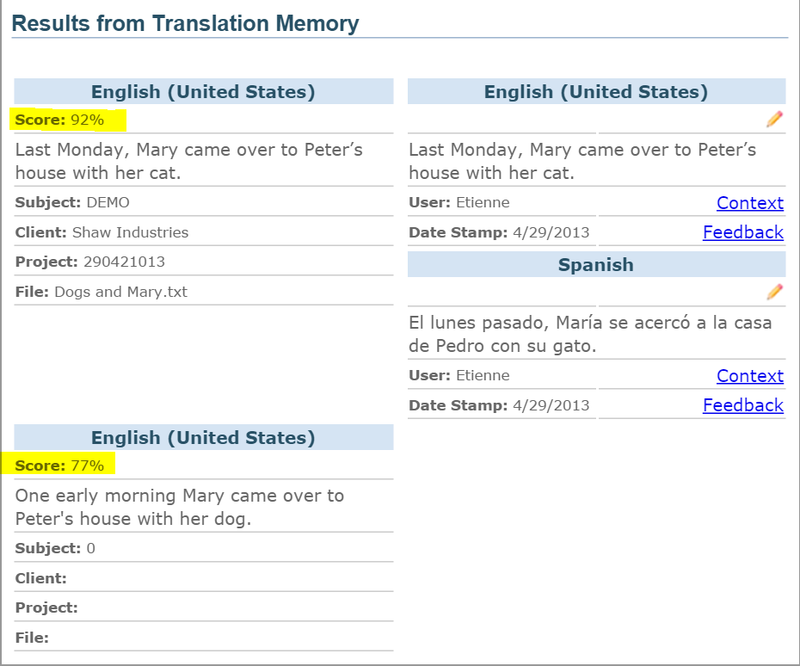 Instead, results will be displayed under the Translation Memory and Concordance fields.